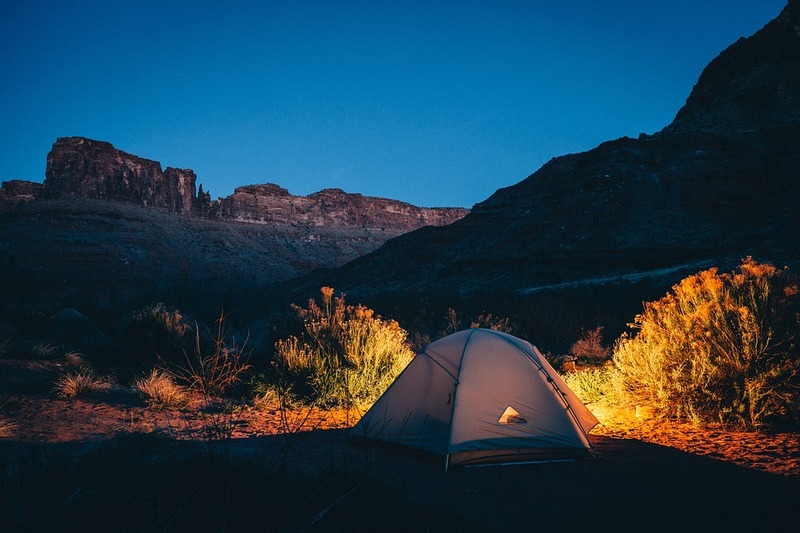 If you have ever camped under the stars and fallen asleep listening to the sounds of nature, away from all the light and noise pollution of the city, then you know what a blissful and relaxing experience it can be. Unfortunately, most people are not keen on the whole sleeping-outdoors experience, mainly due the comfort, or lack thereof. While it is true that to a certain extent that sleeping on the cold ground is not as comfortable as your pillow-top mattress, here are 5 good tips to alleviate that discomfort and encourage you to sleep under the stars. Depending on your type of camping, whether you are hiking or driving to your campsite, this is one area of camping gear that Go Camping Australia recommends putting an emphasis on quality. A self-inflatable sleeping pad is a great idea as it will insulate you from the cold ground and deflate to a very portable size. Your sleeping bag should also be appropriate for the climate and for that extra comfortable sleep, a thicker more cushioned sleeping bag is recommended. If you’re used to sleeping on a pillow, which most people are, then bring one with you, even if it is a smaller camping pillow as it will be a huge factor in reducing neck and back pain. Ensure that the surface area where you pitch your tent is flat and clutter free as it will impact your sleep. Avoid slopes or broken ground and if possible find softer, grassy or mossy areas with no rocks or pebbles. Try to also stay away from trees in windy conditions as branches and debris will keep you up at night and might even damage your tent. Even if the day is blistering hot, depending on your climate, the night can get quite chilly. You will often have a false sense of being warm early in the evening as you radiate off all the heat you absorbed during the day, but dress warm because you will soon be cold. A good quality all-round jacket to protect you from the elements is recommended by us at One Way New Zealand, as it is the best choice to keep you warm when you need it the most. A good jacket can also be used as extra insulation during cold nights. There is nothing worse than being wet and damp, doubly so in a tent while you are sleeping. A good way to mitigate that is to have a good weatherproof tent and bring along some tarps. Camping Trip states that tarps help prevent water, and condensation from being in the tent. Always use a ground sheet or tarp under your tent. Tarps can be used both under and over your tent to channel water away in rainy conditions. A word of caution, however, when making a canopy ensure that one end is angled away from your tent so that there is no way for the water to pool in the canopy. You will sleep like a baby, even in a tent, after a full day of activities. Leesa also recommends that you stay active and exercise to help you get to sleep faster and easier, as it is one of the best activities for your body and sleep. Rather than sit around the campfire drinking and eating all day, going out on a hike, biking, or paddling if you are by a lake, will do wonders for your sleep. When it comes to outdoor exercise there is no better place in the world than New Zealand. Sleeping in a tent does take some getting used to as you are learning to adapt to a new environment, away from the comforts of home. The sounds of nature, the crackling campfire and bubbling creek are all elements which, for many, are a natural sleep-aid. For those, however, who are not yet used it, the tips provided should help you get those blissful sleep outdoors. I am not very excellent with English but I come up this real easygoing to read . My husband and i felt really happy when Jordan could conclude his inquiry while using the ideas he received out of your weblog. It’s not at all simplistic to simply continually be offering key points which often people may have been selling. And now we already know we need the writer to be grateful to for this. Those explanations you made, the straightforward website menu, the relationships you can make it possible to foster – it is all astonishing, and it’s facilitating our son and the family reason why that topic is satisfying, which is exceptionally mandatory. Many thanks for all the pieces! I in addition to my friends were checking the best information and facts located on the blog then then got a horrible suspicion I had not expressed respect to the website owner for those strategies. Most of the guys had been consequently passionate to see them and have in actuality been taking pleasure in these things. Thanks for truly being well thoughtful as well as for deciding upon some beneficial issues millions of individuals are really wanting to be aware of. Our sincere apologies for not expressing appreciation to you earlier. Thanks so much for giving everyone an extraordinarily terrific chance to read articles and blog posts from this blog. It really is very superb and as well , packed with a great time for me personally and my office colleagues to search your web site at a minimum 3 times weekly to read through the fresh guidance you have. Of course, we are always contented with your cool points you serve. Some two points in this post are undeniably the best we’ve had.